If you're interested in reading more on ideas presented in the article below, I suggest reading Alignment Matters. If you'd like movement instruction via video, start with Daily Movement Multivitamin. In the movie The Sound of Music, Maria had to teach a bunch of kids wearing curtains how to sing. She suggested starting from the beginning. 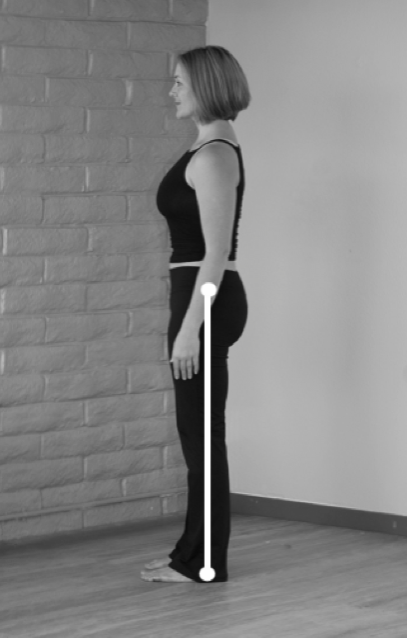 Today, I'm going to teach you the Do Re Mi of standing -- stripping away your psychological preferences, like “feet together make me feel dainty”, “feet apart make me feel powerful” “lifting my chest and pushing my pelvis forward makes my stomach look flatter," etc. It’s all engineering from this point forward, kids. Align the outside edges of the foot with a straightedge, i.e. 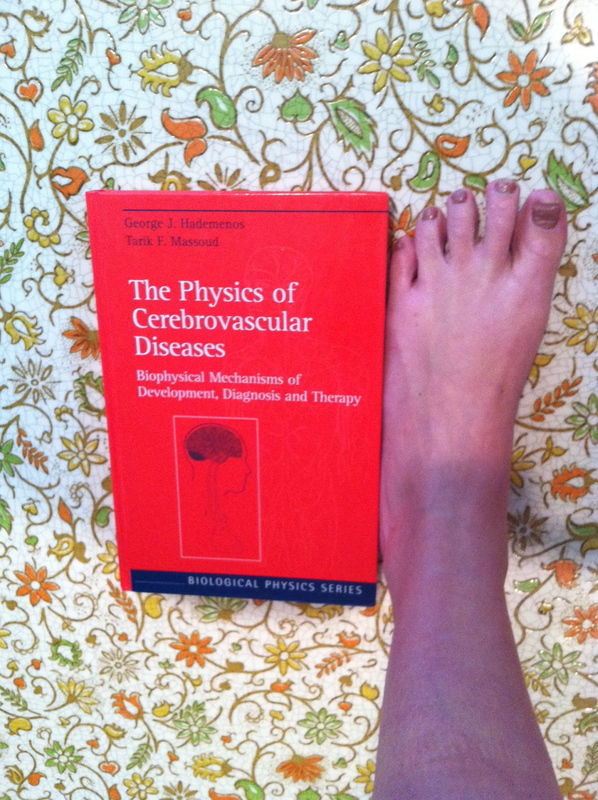 a book, edge of a yoga mat, or that narrow-minded cousin of yours. Why straight? 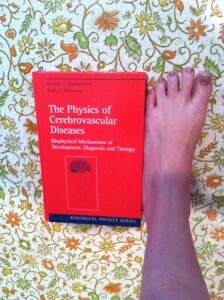 Because the axis of the ankle and the pulley system of the posterior leg muscles require this position to generate maximal torque without friction. 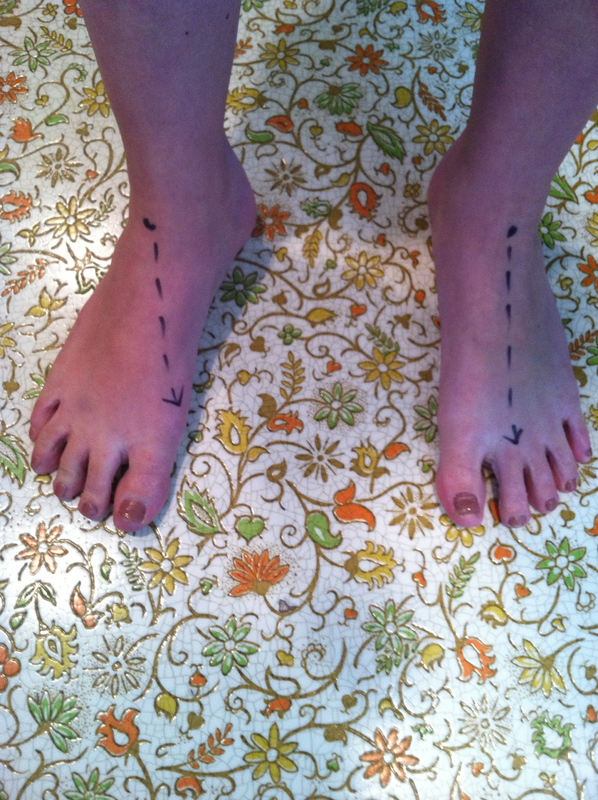 If you stand with your feet slightly turned out, your subtalar joint (located below the ankle) is forced to slightly wobble right to left while walking, which means the muscles down the outside of the shin get misused with every step and slowly rotate your lower leg into external rotation -- cowboy style. Giddiyup. Also, with turned-out walking, your heel bone gets all jacked up and is pulled down and away from its own vertical alignment, forcing it to tip over time. This creates small, incorrect micro-movements in your knees and hips after a while. P.S. Jacked up is a technical term. P.P.S. Yes I know, I have totally cool retro floors. If you were here, I would make you stiff jumpers and lederhosen out of my linoleum that you could wear while I was teaching you how to stand. Tee hee. Get your ankles the width of your pelvis. 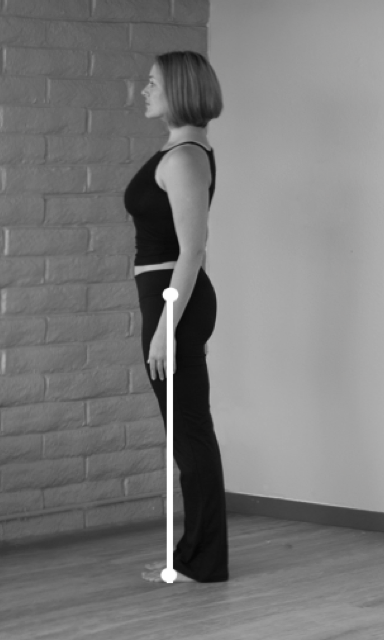 In order to get a pelvic list going, the lateral hip contraction responsible for walking (as opposed to falling), you need to have your legs vertical. Also, there’s that Q angle thing I talked about in my last post (click). 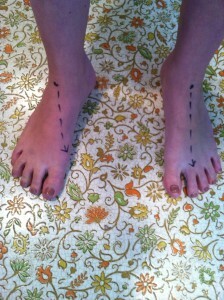 Constantly check the width of your ankles throughout the day to make sure they aren’t reverting to old patterns. I often catch myself crossing my legs while I stand and while I sleep, so I have to stay mindful about this one all the time. WHY DO I CROSS THEM? I don't know. I'll keep checking in on my body, and you watch yours like a hawk, OK? A neutral pelvis requires a neutral leg to perch on, or else the pelvis isn’t really biomechanically neutral. If you’re working on restoring your pelvic floor, or your abdominals, or any part of your body back to health -- you need to be maintaining all three aspects of stance, all of the time, even while you’re walking. But first, let’s start with standing shall we? Fa So La Ti of standing coming later.